Safety, quality, Italian design: these are the values, unique in the world, of every Momo product. 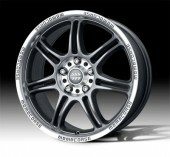 The 2008 light alloy wheels range, in particular, has been created to ensure maximum safety in driving conditions: every Momo wheel must accomplish the most stringent homologation requirements in the world (TÜV, JWL,VIA, SAE international regulations), in order to guarantee reliability, durability and safe driving in every condition. 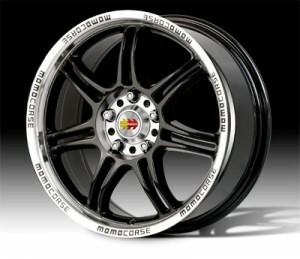 Stylish Italian design and the finest production quality, make every Momo wheel something unique and unmistakable. The best seller in the MOMO Road Wheel range. Available in BLACK and ANTHRACITE. Every single detail contributes to an impressive design, able to completely transform the car appearance: machined finish, lightened spokes and Momo Corse logo on the external lip are the elements making this unique wheel a great success. Click the button below to add the CORSE ANT. 65X15 35 5/114 72,3 to your wish list.